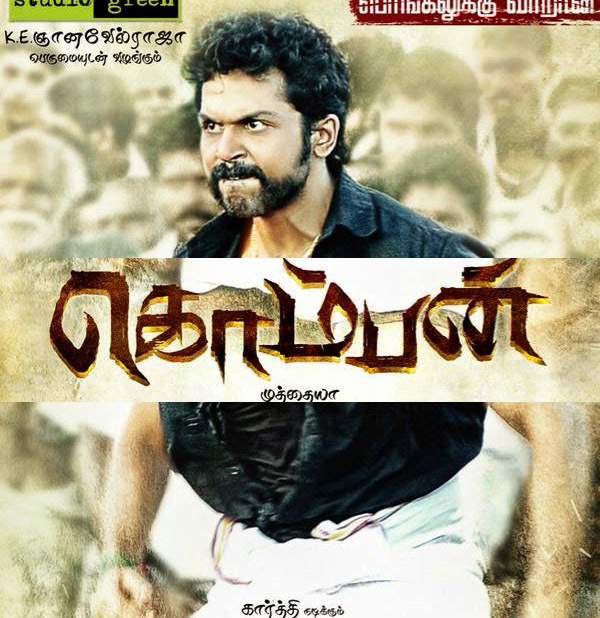 Komban – A Landmark Ruling By the Madras High Court.. 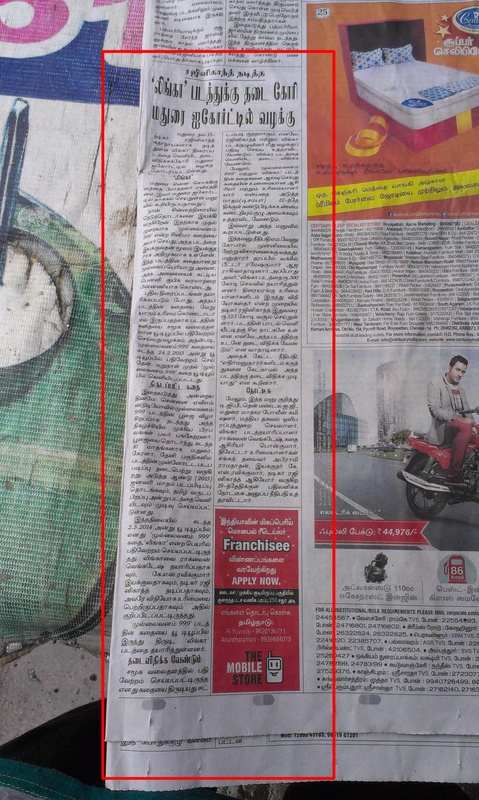 Yesterday, the Madras High Court made a strong judgement, which hopefully will be a trendsetting one. Although, it is only an interim one, and will likely be contested on 6th April, the message out there sent by the court is that a film cannot be banned, before a release. After all, the only people apart from the makers to have seen the entire contents of the movie, are those of the Central Bureau of Film Certification (CBFC), and they have certified the movie, after making what ever necessary recommendations, and not those who are opposing its release. If a movie, certified by the Censor Board continues to have a problem, what then is the function of the board, then? This was one of the topics, that i discussed with Film Historian Theodore Baskaran, last month, along with topics, like disappearance of Old Films, and the Evolution of Modern Tamil Cinema. You can watch a small sample below. There are umpteen examples to point and some where, somebody here or there, seems to have some problem, and needs a ban. While, it may be unfair to put a coat of paint across everybody stating that, they are doing it for publicity, one must also realise the rights of the Creator, and his right to Freedom of Expression, as supported by the Constitution of India. The timing of the judgement also co-incides with yet another important judgement passed by the Supreme Court – the Scrapping of the vaguely termed, draconian Section 66A. There have been several movies made with smaller budgets, which are even more vulgar and offensive, that hardly find opposition. In most cases, it is only the biggies, the ones with STAR VALUE, that get opposed, and as like a Recurring Motif, the doors of the Court are knocked, a day or two prior to the Movie’s Release, seeking a ban. Hopefully, Better sense will prevail, and fans will not have to wait longer for games played behind the scenes, by other players. P.S: Years ago, a petitioner seemed to have a problem with the naming of a movie of a big STAR, so much so, that the STAR was forced to eventually rename it. The Petitioner won. Several years later, a film was made with a relatively small budget, with exactly the same name, and to the best of my knowledge, the petitioner did not raise an issue. But, the petitioner seems to be still around, doing his work, for society. This is my humble reminder to the petitioner, and thanks him immensely for his work to society. (*) Read the History of this releationship : Kodambakkamum: Kottaiyum, by ARUR DAS. This entry was posted in TAMIL CINEMA and tagged ARUR DAS, BAN, CBFC, KARTHI SIVAKUMAR, KOMBAN, LINGAA, PRE RELEASE OPPOSITION, PUBLICITY, THEODORE BASKARAN on April 2, 2015 by Sugeeth Krishnamoorthy.